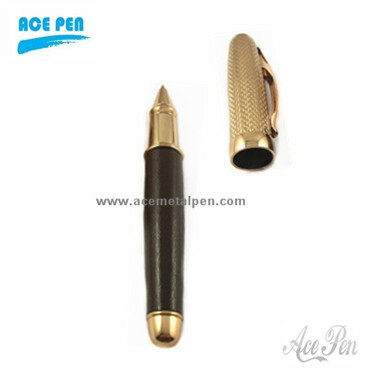 Surface Treatment Rollerball pen with elegant shape, cap off design. Leather finish on lower barrel. Glod plated on the cap and trims and other metal components. produced by ace metal pen. Barrel in gold plated.Intense high gloss finish. High quality and noble design.